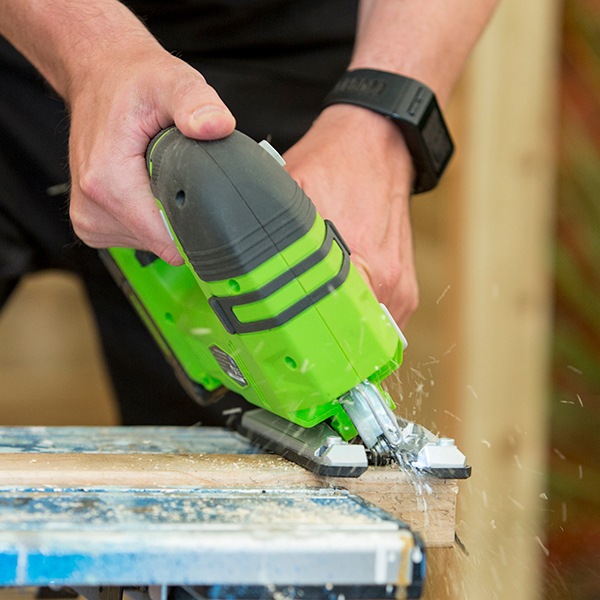 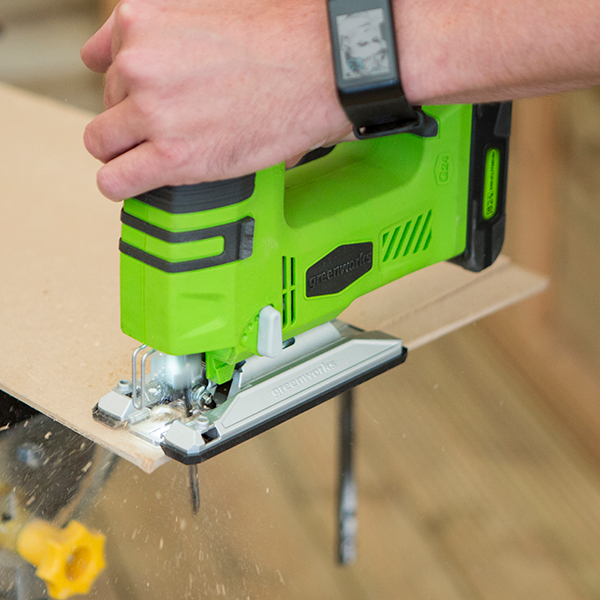 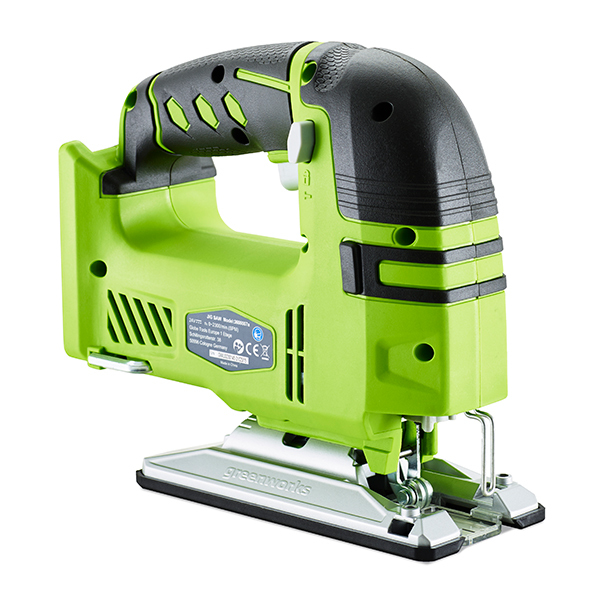 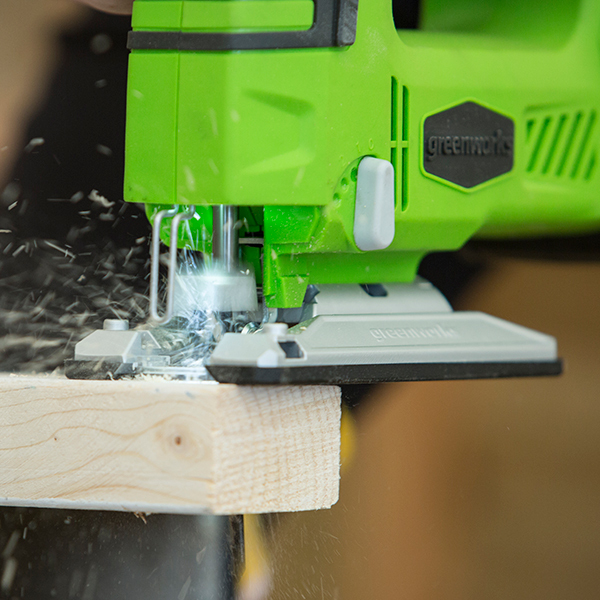 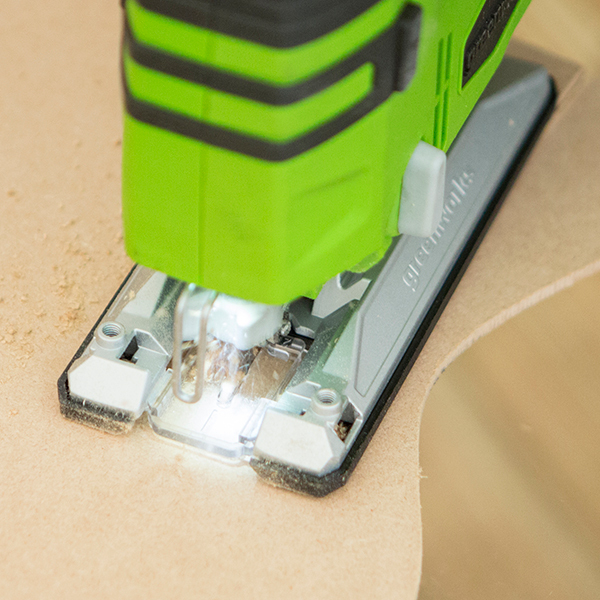 Part of the quality range by Greenworks, designed to offer complete freedom to build your own tool kit exactly the way you need it, the 24V Jigsaw Tool delivers excellent, clean cuts through a variety of materials. 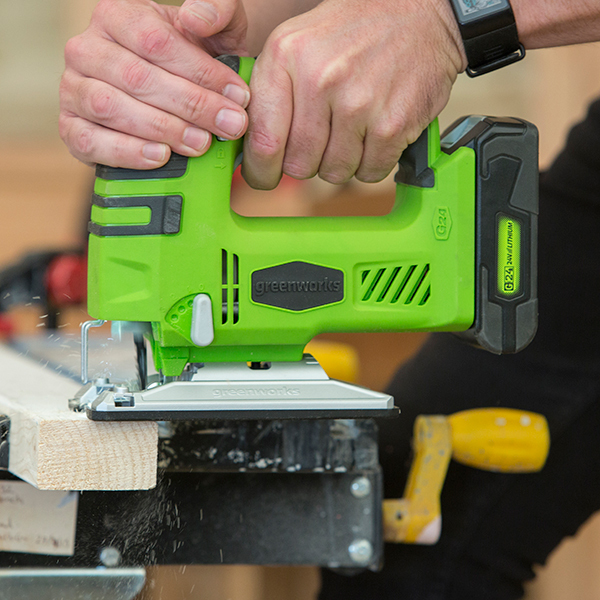 Providing ultimate control with an adjustable pendulum action, all the way up to 60°, this tool can be used for scroll and quick, straight cuts through woods and metals. 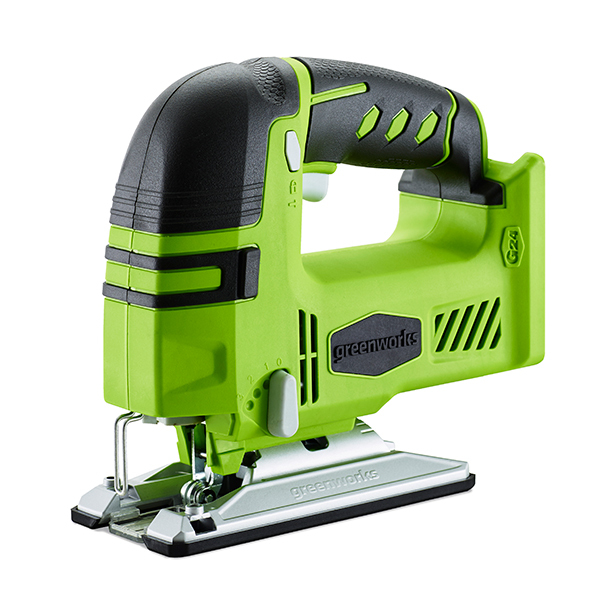 It’s also adjustable for 45° bevel cuts and not limited to one side, allowing you to freely cut on both the left and the right side. 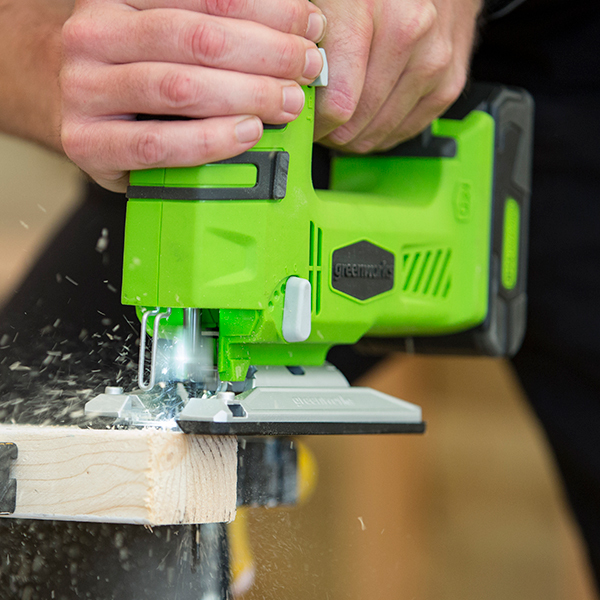 The G24JS features a quick change blade mechanism, offering absolute ease of use when switching to the right blade for the job, and even ejects the blade itself to avoid touching a hot blade. 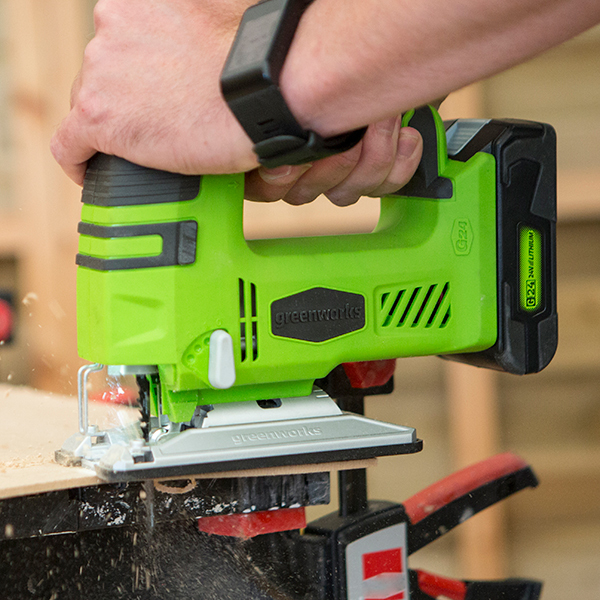 Please note: This tool does not include a battery.